Austin issues city-wide boil water notice; calls for action "to avoid running out of water"
As Austin Water works to stabilize the water treatment system, customers are being asked to boil water for at least three minutes before drinking it. Early Monday morning, Austin Water issued a boil water notice for all of its customers due to elevated levels of silt from last week’s flooding. And by Monday night, the city was warning residents that "immediate action" was needed to avoid running out of water. The water system is “the most recent infrastructure to struggle to keep up with” the impact of unprecedented rains, City Manager Spencer Cronk said at a Monday press conference. Last month was the wettest September on record in Texas. Heavy rains last week in Central Texas and the Hill Country led to catastrophic flooding. A high level of debris, silt and mud requires additional filtration that slows the process of getting treated water into the system, according to a city statement. This is the first time in the utility’s history that a notice of this kind has been issued for the entire system. The notice will be lifted once treatment systems can be stabilized, according to the city statement. Customers are being encouraged to boil water for drinking, cooking, brushing their teeth and for making ice. Activities such as showering and doing laundry are safe, but the city is asking people to conserve water if at all possible. "Austin water treatment plans can currently produce approximately 105 million gallons of water per day," a message to city residents said Monday afternoon. "Current customer use is about 120 million gallons per day. Water reservoir levels are reaching minimal levels. Immediate action is needed to avoid running out of water." "This is an emergency situation," the message said. In addition to residents, this impacts hospitals, schools and universities, food services, and area manufacturers, Cronk said. “This is simply a case of Mother Nature throwing more at the system than the system can currently process,” Cronk said. Austin Water has three major drinking water plants and all of those draw water from the river, Austin Water Director Greg Meszaros said at the Monday press conference. “Once the flood started, it washed untold volumes of soil and silt into the river system,” Meszaros said. Meszaros said the water has an elevated level of turbidity, or degree of haziness. He said it is at a level never experienced before in the utility’s history. 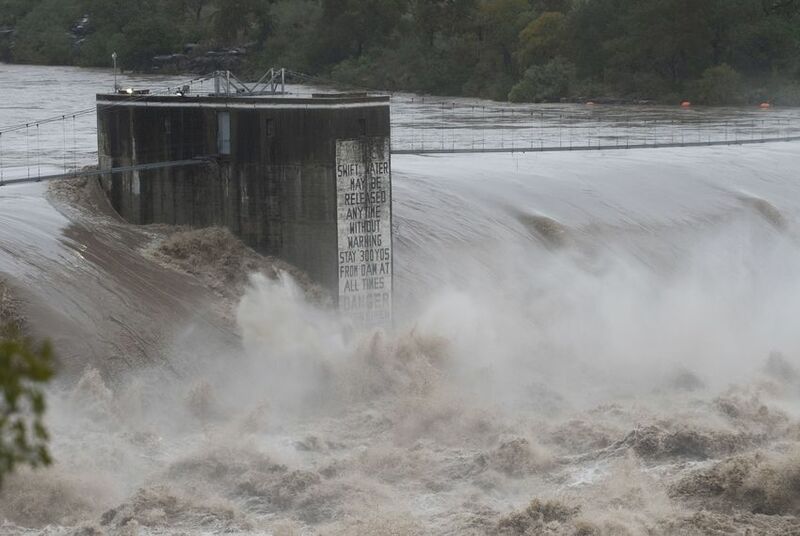 Normally, Austin Water can process more than 300 million gallons per day, but because of the extreme weather the utility has not been able to process much more than 100 million gallons over the past two days, KXAN reports. “Historic flood waters flowing into our water supply lakes contain very high levels of silt that makes it challenging for the water plants to produce the volume of water needed to supply customers at this time,” the statement said. With the announcement, many grocery stores in the Austin area saw long lines, as customers waited to purchase bottled water. As Austin Water works to address this problem, customers are asked to reduce water usage as much as possible, and, when preparing water for consumption, customers should bring water to a “vigorous, rolling boil for three minutes,” according to the statement. More information from the City of Austin can be found here.